Pride, Prejudice, and Popcorn is Released Today! Today’s the day! My first book, Pride, Prejudice, and Popcorn, has been officially released. I could not be more excited. OK, I could be more excited. I could be more excited if Toby Stephens personally presented me with a copy and an entire chocolate cake, and said, “You are my favorite author. This cake has no calories of any kind. Please, enjoy it with me in my villa in Tuscany. you will never have to vacuum again”. But other than that, nope, could not be more exited! 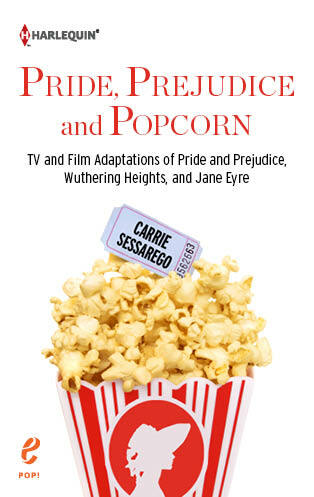 Pride, Prejudice, and Popcorn is a light-hearted look at some of the many TV and film adaptations of Pride and Prejudice, Wuthering Heights, and Jane Eyre. It includes analysis of the original novels and some biographical information about Jane Austen and Charlotte and Emily Bronte, and trivia and a playlist just for fun. 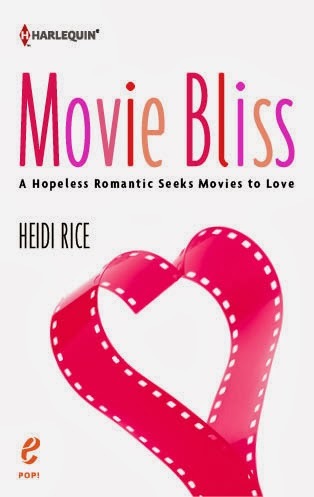 I tried to write this book as though you and I are best friends enjoying movie night together with some wine, some chocolate, and, obviously, a lot of popcorn! I had a great time writing this book and I hope you have a good time reading it! This entry was posted in Blog News and tagged Carrie Sessarego, Harlequin, Heidi Rice, Jane Austen, Jane Eyre, Movie Bliss, movie reviews, movies, Pride & Prejudice, Wuthering Heights. Wish you the very best, with or without popcorn! @ashokbhatia and JF Owen – thanks, guys! Congrats to you Carrie (and me too) loving your book at the moment – and if Toby Stephens turns up with those chocolates could you ask him what’s taking Henry Cavill so bloody long with my chocolates??? @Heidi – but of course! He’s probably on the way but he had to stop off to get flowers too. He’s classy like that.